This text is the best introduction to the history, institutions, actors, processes and challenges of European Foreign Policy. 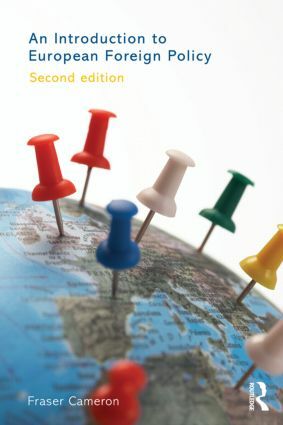 This 2nd edition has been fully revised and updated to reflect the substantial changes to European Foreign Policy as a result of the Lisbon Treaty and other significant changes in European and global politics. evaluation of the global financial crisis on the EU, examining EU’s external relations within the context of a rapidly changing global power structure. With clearly illustrated up-to-date case studies, covering major issues such as Egypt, Libya, Iraq and Iran, each chapter includes key questions and suggestions for further reading. As such, An Introduction to European Foreign Policy continues to be essential reading for all students of European and international politics as well as those who wish to become involved in the external relations of the EU.